October 5-7 2016 – Long Beach Arena, CA. 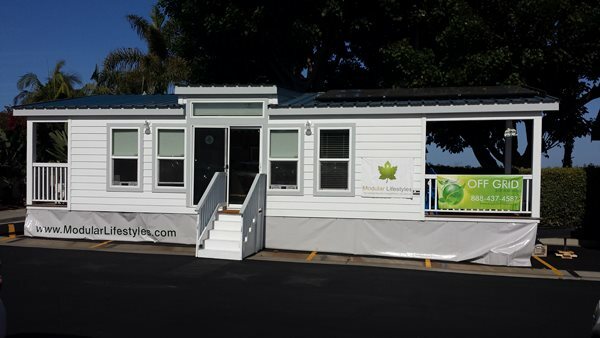 When have you seen an affordable Green Solar Off-The-Grid Grid Tiny House? Modular Lifestyles has designed and developed a ADA and AARP Modular/HUD code Home as a 1bed 1bath or 2bed 2bath to be placed into your existing backyard for guests, aging seniors with On or Off Grid capabilities This home can be fitted with a wheel chair lift and “Age-In-Place Technology” to assist in the care of elderly relatives. Imagine reducing the cost of Assisted Living with this home? This Modular home is shipped, constructed and placed on a local approved foundation. The “quest” Off Grid Energy Efficient home has mobility if needed and can meet and exceed the current “Cal WUI” and Title 24 standards. The Green Materials, Solar, Wind Solar Thermal, “No Sewer No septic toilet” or Grey water options greatly reduces the existing utility requirements and additional infrastructure costs to the existing lot.